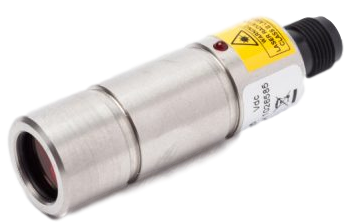 The CMCP242 Series Laser/Optical Sensors were designed for use with portable data collectors which can supply 5VDC Power. 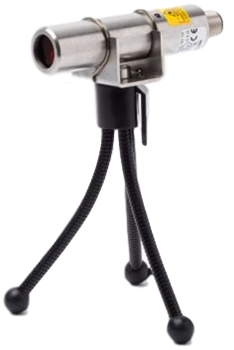 The CMCP242 has a wide angle (80 degree) operation and can sensor either a distance change (keyway) or a reflective target (tape) from up to 6.5' (2m) away. The "On Target" indicator will illuminate each time the target is sensed for a visual indication that the sensor is working. An optional stainless steel bracket and tripod are available for portable use. Cables are available for connecting the CMCP242 to all popular vibration analyzers.